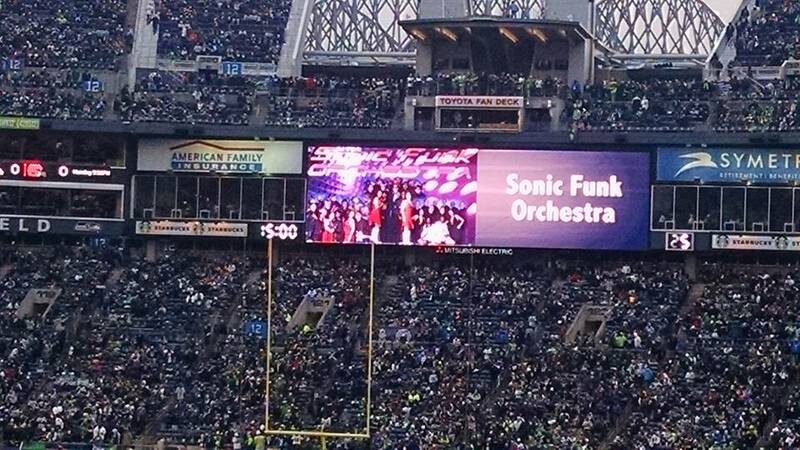 Welcome to SonicFunktheband.com, the homepage of Sonic Funk Orchestra! America's favorite disco & funk experience, and the #1 choice since 2003 to take you on a trip from Studio 54 to Saturday Night Fever! SFO is the 9 time winner, and 5 time (2011, 2012, 2013, 2016, 2017) Champion, of Seattle's NBC affiliate, King 5 TV's Evening Magazine's Best of Western Washington, and the A-List Seattle, as chosen by over half a million voters! SFO is the ONLY band to be voted a 9 time winner in the contests 23 year history! Sonic Funk is the ultimate horn driven dance party machine showband that is 100% live and always ready to get the party started! 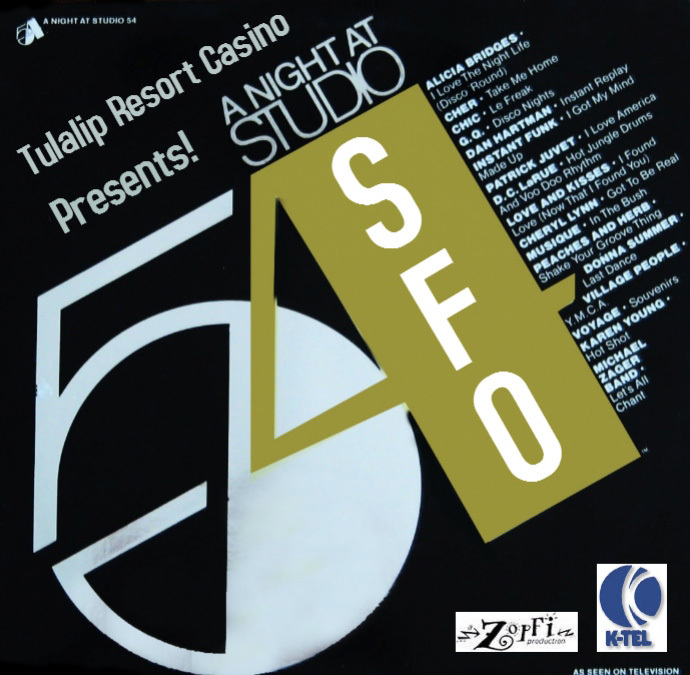 SFO plays all the top dance party favorites authentically, from the greatest era of dance music, the 70's & early 80's! 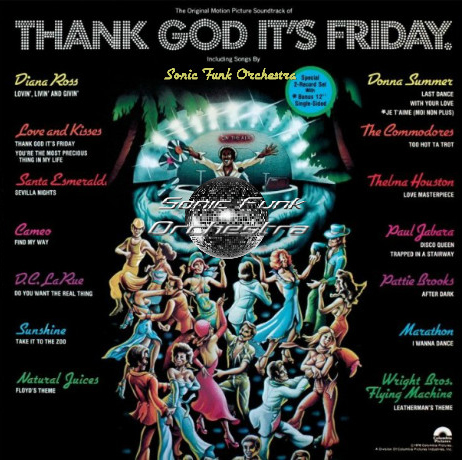 Some of the artist's covered are, Michael Jackson, Earth Wind & Fire, Stevie Wonder, Ohio Players, Chic, Rick James, The Brother's Johnson, The Commodores, Kool & The Gang, KC & The Sunshine Band, Gloria Gaynor, Al Green, Chaka Khan, Donna Summer, The Trammps, Thelma Houston, Cameo, Tower of Power, Parliament, The Gap Band, Prince, The Jackson 5, Sister Sledge and so MANY more! 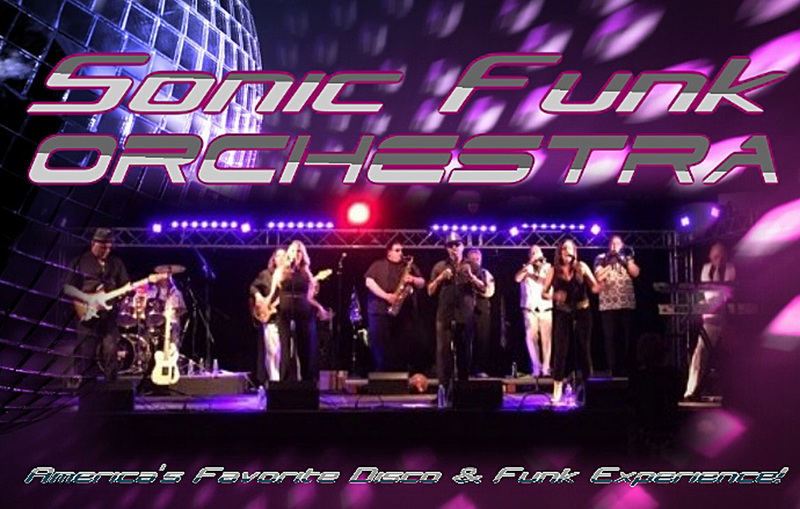 From the smallest venues and stages, to the largest casinos and arenas in the United States and beyond, Sonic Funk is the perfect entertainment experience for your event guaranteed! Sonic Funk is available for your party, wedding, corporate event, club, casino, amphitheatre, winery, arena... of any size, anytime, anywhere! Sonic Funk knows how to keep the party going and the dance floor packed! 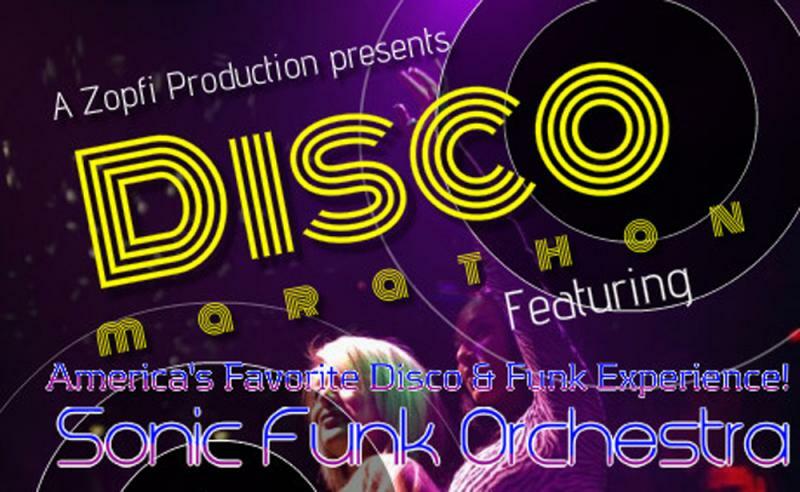 From Seattle, to New York, to Las Vegas, America's #1 choice for the best of the 70's & 80's dance classics! Private shows not open to the public are not listed. May 19th, Saturday, Tulalip Resort Casino, 9:30pm-1:30am. June 8th, Friday, Nisqually Red Wind Casino, 9pm-1am. June 9th, Saturday, Nisqually Red Wind Casino, 9pm-1am. June 23rd, Saturday, Taste of Tacoma, 4pm-4:40pm, Kiss 106.1 FM Pond Stage. July 10th, Tuesday, Arbor Crest Winery-Spokane, 6pm-9pm. July 14th, Saturday, Tulalip Resort Casino, 9:30pm-1:30am. July 21st, Saturday, Bite of Seattle, 4pm-4:40pm, Uber Eats 95.7 FM The Jet Fountain Lawn Stage. July 21st, Saturday, Great American Casino, 9pm-1:30am. August 3rd, Friday, Olympia Summer Concerts in the Park, Port Plaza, 7pm-8:30pm, Opening musical act & intro 30 minutes before SFO performance. August 18th, Saturday, Tulalip Resort Casino, 9:30pm-1:30am. September 22nd, Saturday, Emerald Downs Racetrack & Casino, 5th floor of venue, 8:30pm-12:15am. September 28th, Friday, Nisqually Red Wind Casino, 9pm-1am. September 29th, Saturday, Nisqually Red Wind Casino, 9pm-1am. October 6th, Saturday, The Swiss-Tacoma, 9pm-1am, $10 cover. October 19th, Friday, Great American Casino, 9pm-1:30am. October 20th, Saturday, Great American Casino, 9pm-1:30am. November 17th, Saturday, The Swiss-Tacoma, 9pm-1am, $10 cover. December 14th, Friday, Great American Casino, 9pm-1:30am. December 15th, Saturday, Great American Casino, 9pm-1:30am. January 4th, Friday, Great American Casino, 9pm-1:30am. January 5th, Saturday, Great American Casino, 9pm-1:30am. January 25th, Friday, Nisqually Red Wind Casino, 9pm-1am. January 26th, Saturday, Nisqually Red Wind Casino, 9pm-1am. Feb 22nd, Friday, Nisqually Red Wind Casino, 9pm-1am. Feb 23rd, Saturday, Nisqually Red Wind Casino, 9pm-1am. March 1st, Friday, Great American Casino, 9pm-1:30am. March 2nd, Saturday, Great American Casino, 9pm-1:30am. March 16th, Saturday, Emerald Downs Racetrack & Casino, 8:00pm-12am. March 30th, Saturday, The Lime-Kirkland, 9:30pm-1:30am. April 26th, Friday, Nisqually Red Wind Casino, 9pm-1am. April 27th, Saturday, Nisqually Red Wind Casino, 9pm-1am. May 18th, Emerald Downs Racetrack & Casino, 8:30pm-12:15am. May 31st, Friday, Nisqually Red Wind Casino, 9pm-1am. June 1st, Saturday, Nisqually Red Wind Casino, 9pm-1am. June 28th, Friday, Nisqually Red Wind Casino, 9pm-1am. June 29th, Saturday, Nisqually Red Wind Casino, 9pm-1am. Keep checking the performance calendar for additional new public shows as they are added at your favorite venues! We'll see you at the shows!